Another shock today. 22.08.2012 when someone I previously thought a good friend blabbed about my sweet tooth. I suppose this was balanced out by the fact that she nominated me for an award at the same time. This is a new one to me but no less a pleasure to get. 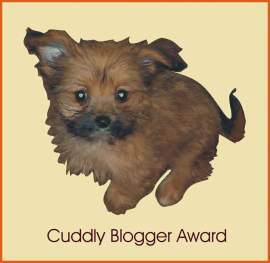 The Super Sweet Blogger Award. So in accordance with the rules I must first thank my nominator ACFLORY of Meeka’s Mind http://acflory.wordpress.com/ A great site. 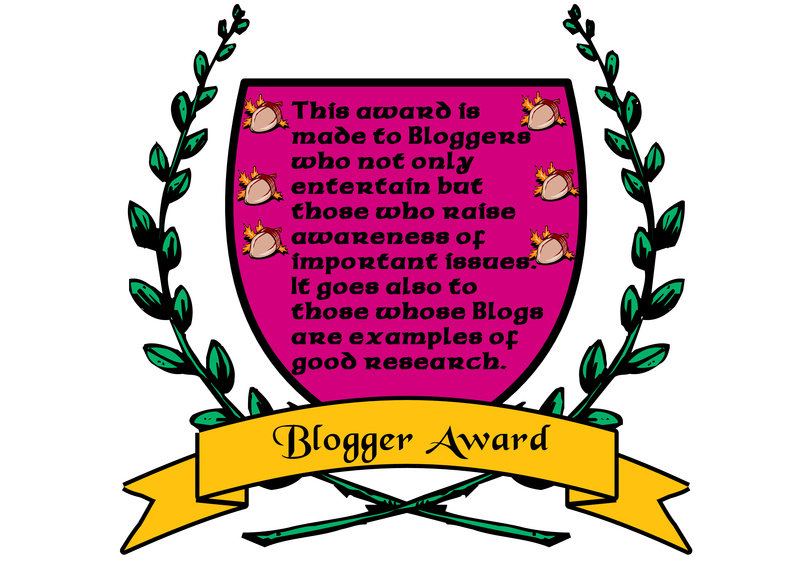 Then I must nominate a Baker’s Dozen of my own choice of blogs for this award. That’s never easy with all the choices out there but here goes………………………………. and finally, there are 5 questions to answer. Chocolate,every time, dark for preference! 3. What is your fave sweet treat? Strawberry tart or Black Forest Gateau. Usually when I’m sitting in front of the idiot box or my computer in the evening. Thanks again Andrea, you’ll pay for this ! 1. I need to thank the person who nominated me. Done. a. I’m a smoker who can’t seem to find the steel to give up. b. I served in the Royal Air Force. c. My wife likes my mince pies as she says I make a mean pastry. d.I love Terry Pratchett books and would love to be cast as the Patrician. e. Bacon sandwiches with either tomato sauce or Daddies sauce are an addiction and I’ve got it. f. When we go out for a long time I have to put my slippers on a chair or Oscar pees in them as a way of showing his disapproval at being ignored. g. Everything I say about Oscar in my books is true. ( Ha, now you have to get one to see what I say). My apologies that these are not new facts but if I create more we might be delving the realms where I’d be open to blackmail. 3. Nominate 15 bloggers . Always the hardest part for me since there are so many good ones out there, but here goes. Janet Beasley http://HiddenEarthSeries.com A Funny and warm lady. Niamh Clune http://www.plumtree.books.co Gifted person. A C.Flory http://acflory.wordpress.com Gifted writer, blogger, and all round good friend. Barry Parham http://barryparham.wordpress.com/ The man has an amazing sense of humour and can curl me up laughing. Ilil Arbel http://ililarbel.weebly.com A writer who puts a tremendous amount of research into her ‘Book in Progress’ blog. Shiela Hurst http://sheilahurst.wordpress.com/ What a great writer and photographer. Rodney C Johnson http://raptorsclaw.wordpress.com/ A young man we’ll be hearing a lot of as a Science Fiction/Fantasy writer. Sandell Morse http://sandellmorse.blogspot.co.uk/ What a very talented Lady. http://loveahappyending.com/ Talent will out. Well written blog that also has a cause dear to it’s heart and I applaud. Excellent reviews. Elissa http://17andbaking.com/ A young lady( now 19) sharing her baking talents with the world. Steve Vernon http://stevevernonstoryteller.wordpress.com/ A new Blogger but creating a good start. 4. Notify the nominees that I have done so. Check. 5. Put the logo of the award on my blog site. Done. Well, what a shocker. 26th June and another award. This from a new friend at http://onlinedatingjournal.wordpress.com and I don’t even have a real name to give you. But whoever you are ‘datingbitch‘ I Thank You. In order to comply with the rules I’m not allowed to pass this on to anyone who’s received it before, nor to the giver. The Questions I’m required to answer are as follows with my answers. Sprouts !! I can think of no benefit to mankind to grow or eat these and since the eating creates noxious gasses I’m sure they are meant to destroy the planet..
Boxers. I’d rather have Muhammed Ali any day than a law suit ! c)If you made a Nobel speech, who would you thank? Unaccustomed as I am…I’d like to thank the nominating committee, My Mum, the lady who used to babysit me, my wife Oh and Uncle Tom Cobley and all. ( Not forgetting datingbitch of course). June 13th 2012 Shock ! Today I was nominated for another award, but it seems not for my writing. Obviously living upside down in Australia causes a sudden rush of blood to the head and Meeka ( http://acflory.wordpress.com/2012/06/13/the-cuddlies-a-new-award/ ) has succumbed to the shock. The new award is called ‘The Cuddles’ which I find appropriate in view of my philosophy. ( A good HUG is never wasted ). So, unaccustomed as I am………. One occasion where I felt a hug /cuddle was not to be wasted was the first time I ever saw a baby born. I had to hold back because of the circumstances and because it wouldn’t be appropriate in an operating theatre, but believe me I was sending out mental hugs to everyone involved including the baby. I’m afraid I can’t issue the 5 names of people I would like to nominate for this award just yet. That’s going to need some deep thought since I know so many nice people. But in all honesty my nominator herself should be my first choice since she’s a really nice person ( she has to be since she has to put up with me ). I’ll come back later with more. Right. Bearing in mind that bribery is not as lucrative as it once was, here are my 5 nominations. Janet Beasley http://HiddenEarthSeries.com Warm and friendly. Wendy Cartmell http://www.wendycartmell.webs.com Dedicated writer of stylish thrillers. A C.Flory http://acflory.wordpress.com Gifted writer and all round good friend. Since writing this blogpage about awards I see that some people dislike them intensely as a waste of time while others welcome the interaction with other bloggers. Personally I have to say I like the fact that awards show someone is paying attention to what we write and that they enjoy it. When an award is given by our peers it’s quite a compliment. 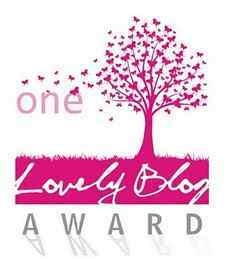 Having said that, today I was nominated for another blog award by the excellent Easyondeyes. http://easyondeyes.wordpress.com I’d like to say thank you very much not just for the nomination but for the comment too which was very touching. In keeping with the rules of this award here are 7 things about me. 1. I’m a smoker who can’t seem to find the steel to give up. 2. I served in the Royal Air Force. 3. My wife likes my mince pies as she says I make a mean pastry. 4.I love Terry Pratchett books and would love to be cast as the Patrician. 5. Bacon sandwiches with either tomato sauce or Daddies sauce are an addiction and I’ve got it. 6. When we go out for a long time I have to put my slippers on a chair or Oscar pees in them as a way of showing his disapproval at being ignored. 7. Everything I say about Oscar in my books is true. ( Ha, now you have to get one to see what I say). http://ililarbel.weebly.com A workaholic who inspires me with her ‘Book in Progress’ Blog which takes so much research. http://barryparham.wordpress.com/ The man has an amazing sense of humour and can curl me up laughing. http://acflory.wordpress.com/ Meeka’s Mind . A very entertaining writer who also reviews books and comments on the things we need to know. 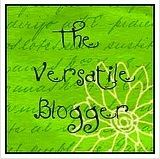 http://sheilahurst.wordpress.com/ A new Blog to me but what a great writer and photographer. http://raptorsclaw.wordpress.com/ Rodney C Johnson. A young man we’ll be hearing a lot of as a Science Fiction/Fantasy writer. http://sandellmorse.blogspot.co.uk/ What a very talented Lady. Since I like to show my appreciation of some of the fine Blogs out there , well written, well researched and often amusing , I decided to devote a page to those awards I think are deserved as a permanent reminder. I’ll add links to the site so you can appreciate the sites hopefully as much as I . Please feel free to copy and offer the award to those whose blogs you think deserve the attention ( up to 5 ) and just to make it interesting let’s invite those awarded to provide details of the top 5 things they’d have on their ‘Bucket List’ which hopefully will give us a little insight into them. Ilil Arbel for her Book in Progress Blog. http://ililarbel.wordpress.com for providing some titillating fun and some real scholarship and research. Metan http://picsandstuff.wordpress.com for the hours spent scouring the morgue of newspaper offices in order to find the most entertaining pieces from over the years. 4th May Today I’d like to nominate my third to one Rodney C Johnson whose site http://raptorsclaw.wordpress.com is well written , informative and entertaining. Also. To Patti Carrigan http://www.patriciacarrigan.com/ whose enthusiasm is unrivaled and who donates 50% of her royalties to a burns unit. Deserves support. I remembered that in January this year I had also been nominated for an award which at the time blew my socks off. It’s a great feeling when another author ( or anyone) nominates your blog for an award particularly when that person also has a blog that attracts so much attention. I therefore acknowledge that I am not awardless as I may have led you to believe, and here displayed beneath is the award itself. Thank you Pete Denton ! Thank you. I’m surprised I forgot since was even more surprised to get it. Pleased though ! You were in the RAF? That makes you a man in uniform :p And you make pastry? That makes a man in a million! Thank you Andrea. I was afraid you’d pick up on that but don’t worry your secret fetish is safe with me. I hope you noticed your nomination and the previous one you had and start parting with the secrets about yourself when you display them on your site. Nothing too tame we hope. -blush- I did and I will but I thought I’d give people a chance to get used to the deep dark secrets I’ve already divulged first! Seriously, I’m almost down to things like my shoe size 😦 Only half joking…. Many thanks for the nomination, David. You’re welcome Steve. Hope to catche it on your site for others to see. Ah well. Sometimes the sacrifices are worth it. Thank you so much and congratulations on your well deserved awards. Very nice of you to say. I’m intrigued by Oscar now and will have to look up some of those stories! Thanks Sheila. I hope you enjoy Oscar if you do look. Yesterday was his latest post. http://lorddavidspage.weebly.com Oscar’s Blog. Wow, now that’s a pack of awards! Thanks for the nomination. I really need to do one of these posts myself. I’m now up to 3 backlogged. Happens every time I’m writing. Again, Congrats! Appropriately I appear to have been awarded a cake award, thanks!!! 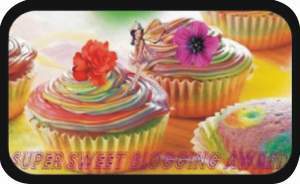 though having that cupcake picture may be seriously distracting in my side bar (for me that is!!) best wishes. Wow they are a lot of awards! Thanks for thinking of me. And for the record? I love strawberry tarts too. First of all, congratulations! Second, it’s a very good idea to put these all on one page. Thanks for the inspiration! Congrats. I hope I don’t get any more awards. As you see it is so much work but I do really appreciate the kind thought from my followers. Sweet tooth, eh ? Well there is chocolate and then there is God. You have to have your priorities in order. Awards can be hard work but it’s nice to be appreciated and I can’t do less than share it if for no other reason than to direct people to blogs they might not see otherwise and meet authors they may never have heard of.As for the choices between God and chocolate, since your God created the chocolate ( or at least the ingredients) and the eating brings on a feeling of well being, I’m sure he’d be happy knowing you partake. So you can eat the one and please the other which seems to be just the right priority. Yes, this sounds very sensible. I’ve found an award you haven’t been nominated for, so let me pass on to you the Wonderful Team Member Reader Award. No questions to answer… supposed to nominate 14 blogs, but I have just included two because I have so many to deal with at the moment! Huge Christmas Hugs back to you Margaret. I hope you have a Wonderful time. Thank you, that’s very kind. Lovely music on your site. 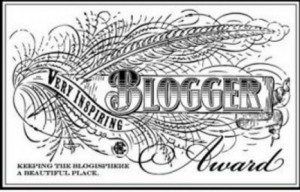 David, Dang it, you already have both The Versatile Blogger and One Lovely Blog awards. I was going to nominate you for one or the other. Or both… Looks like quicker folks have beaten me to them. Congratulations anyway! Why thank you Jadi That’s really kind of you. Thanks so much that’s really kind of you. I’m afraid it will have to sit on the back burner for a while before I can action it. Absolutely deserved in every way! If it weren’t for David, I would be a very discouraged blogger, but he keeps me going. What a very sweet thing to say. Thank you. For your supporting comments, and your wonderful website, I’d love to nominate you for the ‘A Tour Through Blogland Award’. I will nominate you on my website, but whether you accept the award is entirely up to you. I’ll undestand if you opt out as it does involve a little extra work. Please let me know either way. 4. The last part of ‘Tour Through Blogland’ is to write a one-time article which is to be posted on a Monday (the date supplied by your nominator). This article can be in the same post in which you answered the 4 questions. The article can be anything of your choosing. If you agree, you have until 4th May to post the above. Thanks Robert, a nice threat. But, It’s been a long time since I accepted awards because they’re so time consuming and there are only so many things you can say about yourself. I’m always grateful for the nominations and the effort people go to for me so I do offer thanks but have to refuse the award.